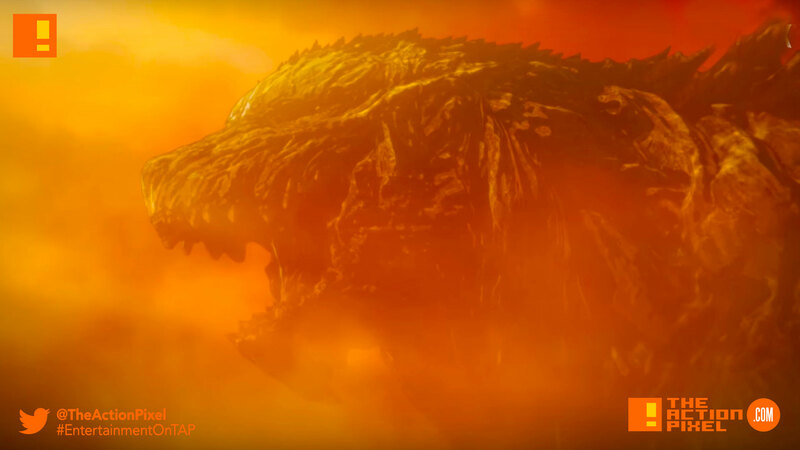 The King Of Monsters towers taller than it has ever been in the new promo for the coming Netflix + Toho Animation + Polygon Pictures. anime – Godzilla: Monster Planet. Boasting to have the biggest Godzilla ever depicted in any narrative, some 20000 years into the future it seems humankind is still locking horns with the prehistoric legend. Kudos that we’ve survived that long. But in all honesty our arrogance is exhausting. Like, really?! I’d just about offer myself as a living sacrifice to the obvious lizard diety. Hell, it has the word ‘god’ in its name, so it can’t be that much of a religious rejigging. Somehow, the Aratrum makes the return journey in one piece, but the home they return to has become an alien planet. 20,000 years have elapsed, and a new ecosystem has emerged withatop the food chain. Can mankind take back its native planet? Will Haruo get his revenge? Godzilla: Monster Planet‘s directors are Kobun Shizuno and Hiroyuki Seshita. Kobun Shizuno realized Detective Conan: The Darkest Nightmare (2016), which marked the box office of 6.33 billion yen; the highest record of the franchise. Hiroyuki Seshita is also known for his abilities at the forefront of CG field through his direction/ general direction in Knights of Sidonia and Ajin. Original story and screenplay is written by Gen Urobuchi, known for Puella Magi Madoka Magica and Psycho-Pass. His groundbreaking ideas and unpredictably elaborate structures has grasped the heart of many fans. The production house is the greatest 3DCG studio in Japan, Polygon Pictures, which has created Knights of Sidonia, and through their work such as Star Wars: Clone Wars received an award for three consecutive years for Outstanding Special Class Animated Program at 41st Annual Daytime Emmy Awards, known to be the Oscars of the U.S. television industry.